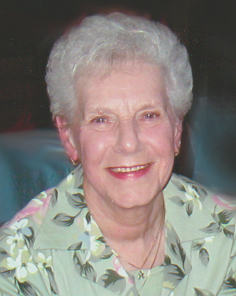 HOGAN - Arlene E. (nee Main) Age 90, of the City of Tonawanda, April 4, 2019. Wife of the late John “Jack” Hogan who died in 2002; mother of Michael P. Hogan; grandmother of Kelly and Melissa Hogan, also survived by many nieces and nephews. Arlene was active at the Tonawanda Senior Center and volunteered at the St. Francis Food Pantry. Calling hours will be held Monday, April 8, 6-8 PM at JOHN O. ROTH FUNERAL HOME, INC., 25 William St. (between Morgan and Broad Sts. ), City of Tonawanda. A Mass of Christian Burial will be celebrated at 11 AM Tuesday, April 9 in St. Timothy’s R.C. Church, 565 East Park Dr. in the Town of Tonawanda. Everyone welcome. Burial will be in Elmlawn Cemetery.